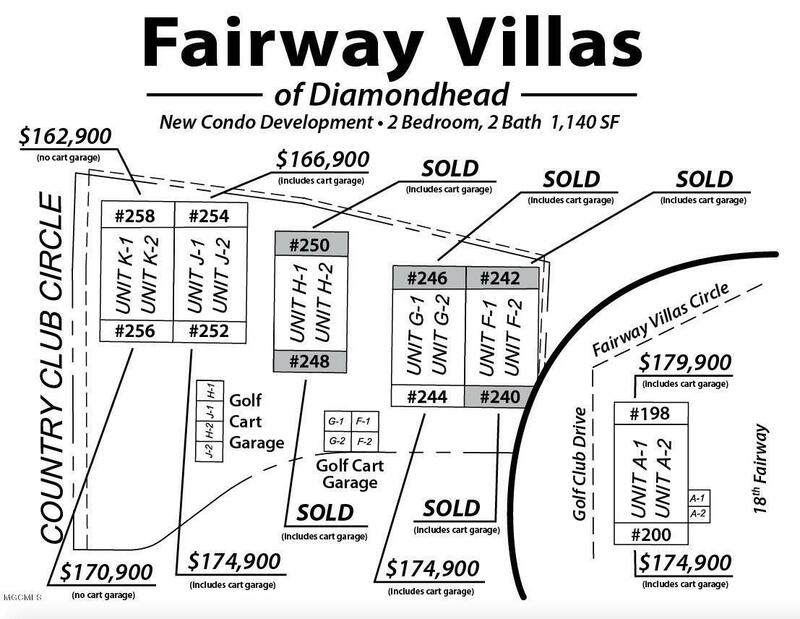 At last: New upscale country club condominiums are being built at Fairway Villas of Diamondhead and they're just minutes from the Country Club, first tee, tennis courts and Swim Center. This second level condo has its own golf cart garage and is perfect for week-end get-a-ways, or full time residency. The home features a 2 bedroom, 2 full bath floor plan with upgraded amenities, wood flooring, high ceilings, crown molding throughout and an open kitchen with granite counter tops and a spacious master suite with a large walk-in closet. Fees include liability, fire wind and hail insurance, garbage and termite treatment. 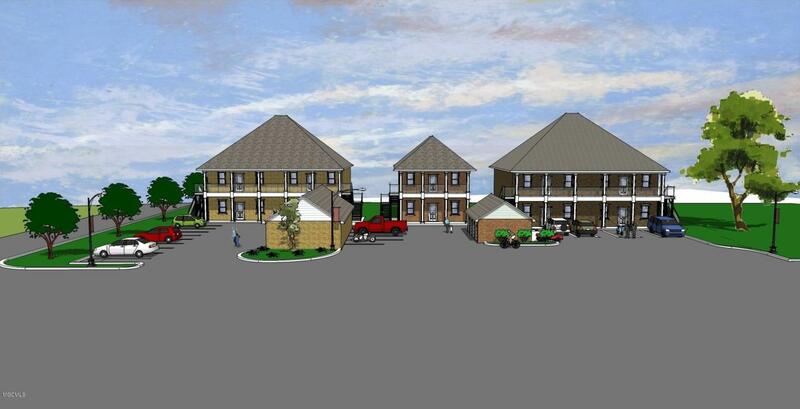 This condo home is not yet built, but will commence in the near future. 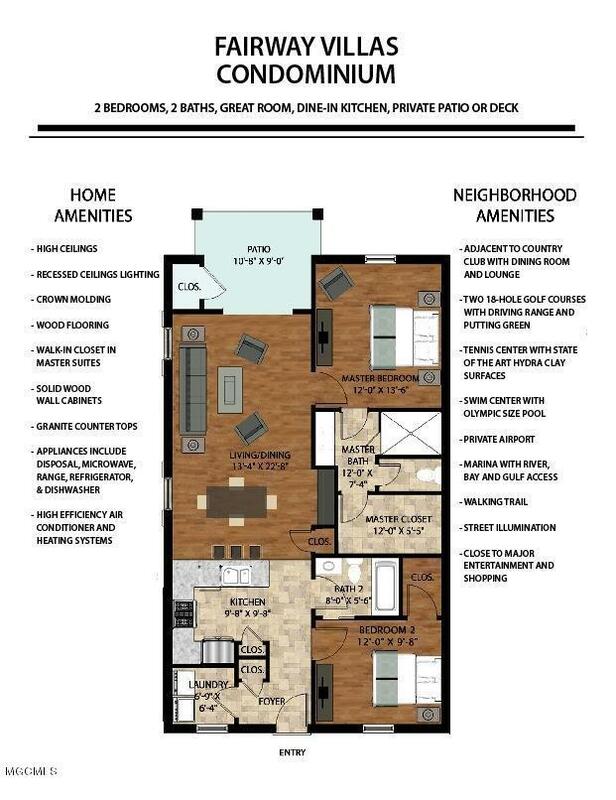 Put your reservation in now-this condo won't last long! !